The District Plans provide information on where some of the recommendations made in the reports should be applied in each planning district. These Plans are ideal for those who are particularly concerned about how the City will implement the Master Plan in their district or ward. The District Plans include initiatives and actions from reports that the City has completed to date. Therefore, there may be some issues, such as public safety, which the City has not yet addressed in sufficient detail. As funding becomes available, the City will undertake the additional reports and amend the Master Plan. For more information on all the Reports and the Plan Framework, see the Plan Overview. The District Plans are a project management and coordination tool. They are inventories of the recommendations made in the Topic Reports and detail the initiatives and actions that the Master Plan specifically recommends be executed in each Planning District. Since they are reference documents, they may not provide a complete picture or explanation of every recommendation. Nor are they neighborhood plans: there are likely many local issues which are not addressed in this Master Plan and therefore not included in this District Plan. 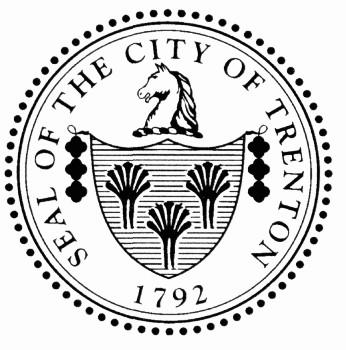 For those unfamiliar with the many recommendations made in the Master Plan, using the Trenton250.org website may be a better experience: the ability to use hyperlinks to jump to information will allow you to explore the entire Master Plan while starting from the District Plan. The intent of the District Plan is to illustrate where the City should implement different actions. As a result, the District Plans will help users understand how their work may affect, or be affected by, other efforts. For example, the East District Plan shows how creating a Play-Street-Scape Pilot Project on Chestnut might overlap with those interested in creating a gateway to the Assunpink Greenway Park and those who are interested in revitalizing Chambersburg. Based on this information, project leaders may consider streetscaping improvements along Chestnut street that also include both a bicycle lane and a new wayfinding system. This new street could then better connect those visiting the Assunpink Greenway to food and cultural amenities in Chambersburg. The ability of stakeholders to find implementation opportunities that result in “synergies” (when projects are combined to make something that is greater than the sum of their individual parts) is one of the major advantages of long-range planning and strategic plan mapping. At the same time, the District Plans provide users with a clear picture of where the City should invest in their district or ward. As a result, the District Plans can be a tool for council members to coordinate efforts and for residents to hold elected officials accountable. However, they are not a complete inventory of all work that the City must complete in each District: there are more Topic Reports to write (see Plan Framework in the Plan Introduction). As the City develops new Topic Reports and makes new recommendations, the District Plans will be amended. Trenton’s community-driven plan to create, “A Premier Economic and Cultural Center Built on Arts, Industry, and Education” is ambitious. Implementation will require a sustained, long-term, commitment. Moreover, the vision must be reconciled with the reality that the City and its partners have limited resources: all initiatives cannot be executed in all locations immediately. In addition to these strategic neighborhood investments, the City must continue to work diligently on long-term catalytic projects such as creating a Trenton Transit Center Transit-Oriented Development, Reclaiming and Redeveloping the Waterfront, and encouraging more active use of the Sun Center. These efforts are not likely to see year-to-year improvements, and the payoff for investments in these projects may not be realized for some years. Nonetheless, this is the benefit of long-range planning: it allows the City to see the long-term benefits of consistent investment in projects, even if they are unlikely to yield short-term results. Strong residential neighborhoods that have a deep sense of community and history. This area will have a strong connection to Cadwalader Park and the network of trails that connect Trenton internally and to its neighbors. Housing Policy will promote living opportunities and small retail. The City of Trenton, in partnership with the State, County and a variety of public and private stakeholders, must execute numerous complementary initiatives that build on the strengths in the Downtown.